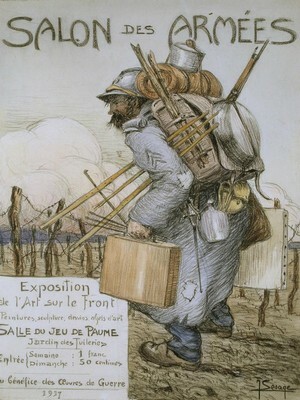 In 1917 an important exhibition of works made by soldiers at the front was organised in Paris, at the museum “ Jeu de Paume ”. 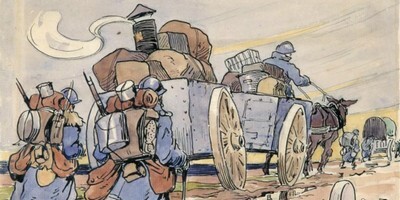 The works which were sent in had to pass military censorship. 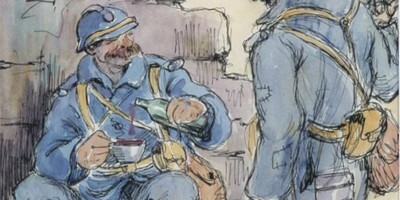 A jury in Paris decided which soldier-artist qualified to exhibit his works. 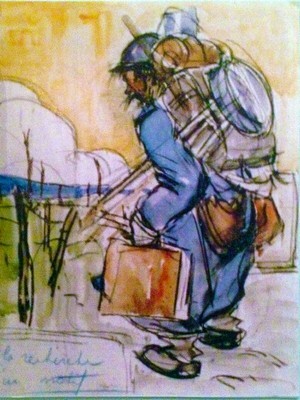 Joseph Lesage exhibited 12 works which were all sold. In connection with this exhibition a poster-contest was organised. 329 posters were submitted to the jury. The poster of Joseph Lesage won a second prize. 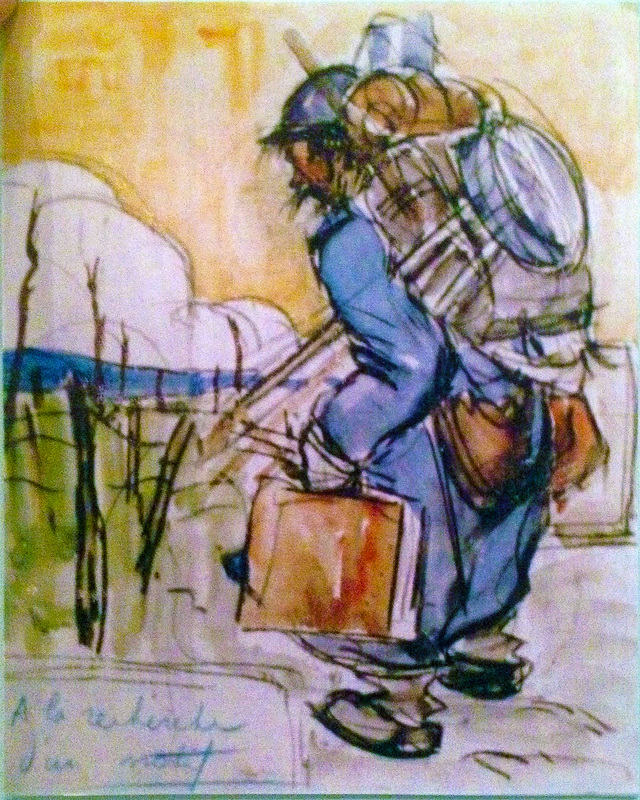 “ A la recherche d’un motif ”. (“Looking for a motive ”). This text would never have been accepted by the censorship. 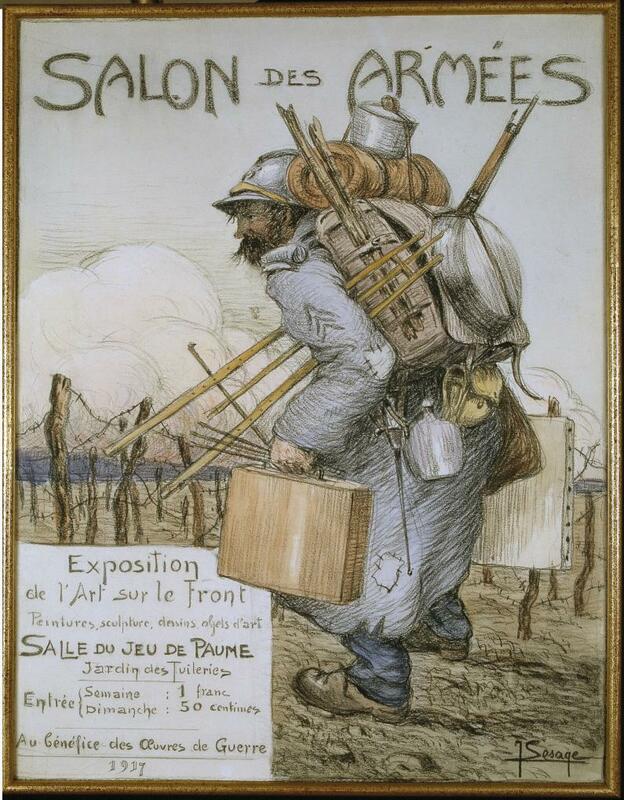 When making this drawing Joseph Lesage had just finished two months of frontline-duty near Verdun.